It's not often that someone who fills arenas and concert halls around the world, comes to Sacramento and plays to an audience that fits snugly into a venue the size of the Ace of Spades. It's really not often, especially when it's the first visit to the city in a career that spans the success and years like Paul Weller's has. 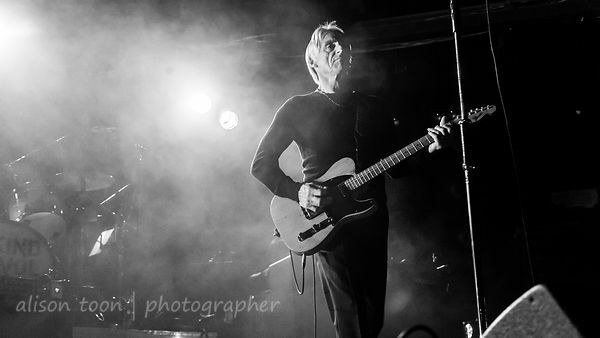 And yet, there he was, the Modfather himself, on the Ace's dark stage on Friday night. 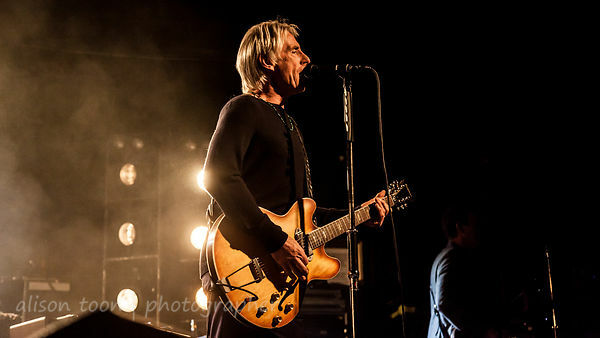 The set was huge: songs from Mr Weller's latest and wonderful album, A Kind Revolution; songs from his earlier solo works; songs from the Style Council days, and to finish it all, at the end of the second encore, with the Jam song; A Town Called Malice. At the barrier, in front of the stage, a group of people from all over the country, who had hired a minibus and were following the tour: like me, fans from the UK now living in the USA, fans from other countrie. Upstairs in the bar, with a great view of the stage: four or five people, dancing their hearts out. In-between these two groups of enthusiastic people, a large audience who I felt took a while to warm up... they'd had an awful lot to say earlier in the evening, but seemed rather quiet--maybe in awe? maybe just being a Californian, and not a British, audience? (sometimes I feel the culture gap like a chasm)--right until just before half-way through the show, somewhere between a couple of Style Council songs, Ever Had it Blue and Shout to the Top, at which point the audience really clicked and erupted into a show of warmth, excitement, waving and dancing to the beat of Paul Weller, right through to the very last note of the second encore. There are a couple more USA dates on this tour: tonight in San Diego, Friday in Los Angeles... then he's off around the world. 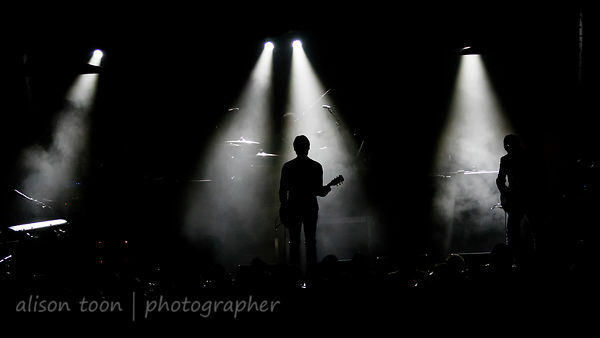 Check all tour dates here. I was so happy to be there. 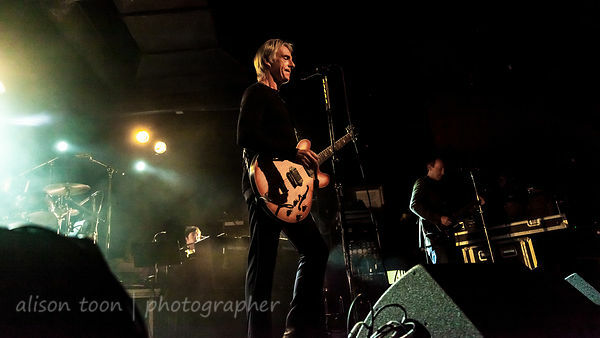 It had been far, far too long (see the story here--last time I saw Paul Weller perform, it was in Leicester's De Montfort Hall, which is a little larger than Sacramento's Memorial Auditorium, and nowhere near as big as the Sydney Opera House, which he plays for two nights in January. See how lucky we were on Friday, Sacramento?). I hope he comes back again, soon... or maybe I'll have to join the gang in that mini-bus. More photos here in the photo gallery: one day maybe the Ace of Spades will purchase some new light bulbs.